Everyone has a story to tell, and some stories are worth their weight in gold. How we retell past events, through the bardic art of storytelling, can help shape our present understanding. Thinking about stories as acts of empowerment in this way is particularly important in an age where so many of us feel disempowered. One of the things I’ve noticed a lot lately is that people, of all ages, are really down, feeling defeated, and feeling burned out. They feel like they don’t have a lot of agency or power. And so, using ritual and spiritual practices to help us find our power, and better understand it, is an extremely useful practice. Storytelling is a form of magic, in this case, through a bardic storytelling ritual, to help empower us and bring us hope. So today’s post, in line with my larger series on the bardic arts, will look at a simple ritual that you can do with a friend or loved one to listen deeply and empower each other. In The Power of Myth, Joseph Campbell in conversation with Bill Moyers (the book is based on a television show) retells old stories and shares his own stories in a compelling discussion that argues that myths, that is, the stories we tell, hold tremendous cultural power. Campbell argues, ultimately, that certain themes or stories are universal (like the hero on a journey) and that by telling these stories, we connect deeply with universal ways of understanding and inhabiting the world. One of the arguments in the book, as recounted by the conversations between Moyers and Campbell is that western society, and the US in particular, don’t have enough effective stories, which alienate people, offer them less cultural identity and cause other kinds of problems. I’m really glossing over a lot with regards to The Power of Myth and similar kinds of works, but the point here is this–storytelling and connecting with archetypes present in the world is a very important part of human culture. Even though storytelling and connecting to these broader myths is clearly important, a lot of us don’t tell many stories. They seem largely absent in our lives. We do have a lot of other people’s stories circulating, particularly, through movies and television, but these are not our own stories. The druid community is a bit different. If you are lucky enough to have a circle of druids nearby, you might have a chance to participate in an Eisteddfod (Bardic Circle), where we gather around the fire and share many bardic arts–including stories. The bardic circle is the heartbeat of a druid gathering. But many of the stories shared at the Eisteddfod are not our own–about our own lives, about our own empowerment. What I present today is an alternative to a traditional bardic circle, another way that druids–and many others– might use storytelling in the druid tradition (and other contexts). This ritual is performed by two people. In this ritual, we use the bardic art of storytelling to share stories that are themed through one of four Jungian archetypes (the hero, caregiver, magician, and bard). The goal of the ritual is to have each person tell a story from each of the four archetypes. (*The original Jungian archetype is “Ruler” but I think that doesn’t’ have the right connotation, so I changed it to “Leader”). The ritual can take place in a formal ritual setting or it can take place in a less formal setting, even over a period of days (like a weekend camping trip). It is important, I believe, to acknowledge the opening part of the ritual and to close the ritual once the stories are complete. How this done is up to the individuals, and may be more or less formal. Preparation. Ideally, the two people doing the storytelling ritual have time to think about which story they want to tell, time to reflect upon the archetypes and consider which part of their own past experiences might best fit. You can do this prior to the actual ritual or at the beginning of the ritual (see below). Sacred space. You may choose to open a sacred space in any manner that feels appropriate. I’d highly suggest this step, as it helps set the “boundaries” for the ritual and creates a safe space for recounting stories. Using a sacred grove for this is particularly useful (if you are in OBOD, opening a grove in the bardic grade would be quite appropriate). Preparation. If you haven’t yet had the period of preparation, each person can go off for 15-30 min and think about the four archetypes and prepare to tell their stories. Telling the story and Deep Listening. In this ritual, person takes turns in the role the storyteller and in the role of the deep listener. The storyteller’s job is tell his or her own story accurately and deeply–to share what they want to share. The deep listener’s job is to fully engage with the other person’s story–through eye contact, listening, and focusing on what is being said. Qualities: At the end of each story, the deep listener shares their own reflection on the story, identifying what they hear and the qualities that the person shared. For example in a tale of the hero, the storyteller might tell a tale about jumping into cold water to save a drowning animal The listener might hear that the speaker showed bravery, a quick wit, and a deep concern for the life of another. After the deep listener reflects, the storyteller should write down the qualities that deep listener shared. Storytelling continues. Then the two individuals swap roles, and the next story is told. This is repeated until the stories are told for the four archetypes. Reflection: At the end of the ritual, each person should have a list of qualities that they possess. They should take time to share with each other, reflecting on what they learned about themselves, and the other, as part of the ritual. Close the sacred space. Finally, the sacred space is closed and the ritual concludes. You can also engage in this ritual with a number of variants. Variant 1: One theme and a Larger Group. In a larger group (say, 4-6 people) you can choose one archetype and allow everyone to tell a story about it. In a much larger group (say, 10-40 people), you can split people into groups of 4-6 and allow the stories to be shared in a more intimate way. I haven’t done this with a very large group, but I have done it with a group of 5 people–we went through two rounds of storytelling by the fire and it was very powerful, especially with multiple “listeners” to all contribute to the qualities they heard. Variant 2: Tarot Card Theme. 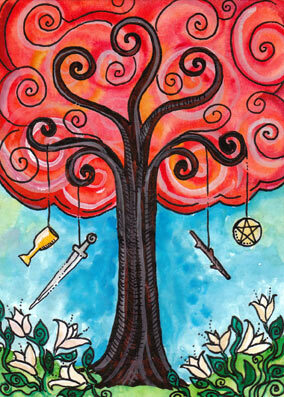 One variant is to use tarot cards with all eight themes and let people draw the theme of the story they will tell. Prepare a stack of tarot cards with the eight cards listed below. Each participant chooses 2 cards (make sure they put the cards back before the next person draws). This works either for a pair or a larger group (using variant 1). I’ve done this ritual several times over the years, twice with one other person (both times very moving and deep experiences) and once with a larger group of 6 people (using the Tarot card variant, where each of us drew a card and told one story). Both of these were very moving experiences and I learned a lot not only about myself but about my dear friends who did the ritual with me. I believe a storytelling ritual like this offers us numerous benefits. First, it gives us an opportunity to connect to some of those deep myths and archetypes that are present within human experience. Second, retelling a story allows us to reconnect to a moment, reflect on that moment, and in some cases, find deeper meaning in a moment of our past. This allows us to find our strength, even in situations where not everyting was positive. Third, this storytelling ritual allows your story to be heard deeply and fully by another. In so many ways, we often aren’t able to be deeply heard by each other–attention spans are short, listening skills aren’t that great, and people are very distracted. The power of deep listening is a gift that can be given–and it is moving to be really heard and understood. Finally, the entire experience can be incredibly empowering. Retelling our own stories, experiencing them again–and most importantly, having them heard, can help empower us, aid in our own growth and promote our own deeper understanding of self. Two weeks ago, I was asked to speak at our local UU Church (First Unitarian Universalist Church of Indiana, PA) on the druid tradition. Of course, given the diversity of the druid tradition and the perpetual challenge in answering the question “What do druids believe?” it took some time to sort out what I wanted to say. I thought I might share these thoughts here as a good introduction to the druid path for those wanting to know more and/or as a resource to share with non-druids. 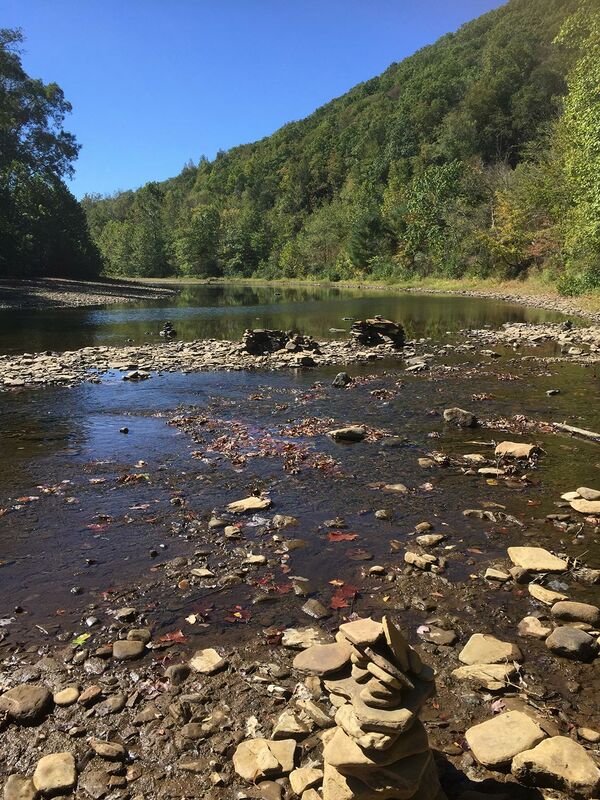 I grew up in the beautiful Laurel Highlands region of Western PA. As a child, I spent every free hour in the forest behind my house, building cabins, exploring, and talking with trees. When I was fourteen, the forest was logged, and my heart broke. For weeks, the grind of the chainsaw was in the air, and I suffered as the forest suffered, my own pain and past trauma welling up within me. I went down into the forest after it was over, to see which of my tree friends had remained–and it seemed like almost nobody had survived. It was so heartbreaking, I ended up not returning to the forest for many years. Almost a decade later, a friend who was dying of cancer insisted I return with him to that forest—and so we did. A miracle had occurred. No doubt, the forest was still full of downed trees and brush, but the way was passable, and the land had done tremendous healing. That step, back into the forest, and seeing the healing present, was the first formal step I took on the druid path, a path I’ve now been walking for over decade. 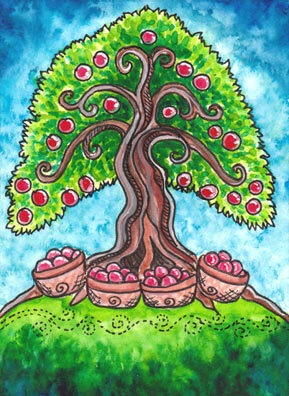 Druidry today has both ancient and modern roots. The tradition is inspired by the ancient Druids, wise sages who kept history, traditions, and guided the spiritual life of their people. The ancient Druids had three branches of study: the bard (a keeper of history, stories, and songs), the ovate (a sage of nature or shaman), and the druid (the keeper of the traditions, leader of spiritual practices, and keeper of the law). Much of what we know about the Ancient Druids today comes through their surviving legends, stories, mythology, and the writings of Roman authors: the druids themselves had a prohibition against writing anything down that was sacred, and so, we have only fragments. But fragments cannot be a full spiritual tradition. In the period between 1700 and 1800, radical changes were happening in the British Isles, here in the USA, and across much of the western world. The rise of industrialization shifted many relationships between humans and the land. Farmers and peasants who had lived, sustained, and tended the land for countless generations were driven from their homes to work in factories. My spiritual ancestors, those associated with what we now call the “Druid Revival” watched this scene unfolding: the land stripped of her resources for industrialization and progress; the growing emphasis on produced goods over communities; the rampant pollution and exploitation industrialization was creating; the relegating of humans, animals, and the land to a resource for extraction, a machine. The importance of balance and nurturing the land was quickly being replaced by the ideas of infinite growth at any cost and exploitation. It was during this time that those that founded the druid tradition reached deeply–and creatively–into their own history to the ancient druids, to a time when humans and nature were more connected. And thus, the beginnings of my tradition, “Druid Revival” was born. Industrialization, with so much promise at the time, continues to cause considerable pain to our earth and our human communities—and certainly each community and person experiences this in extreme ways. 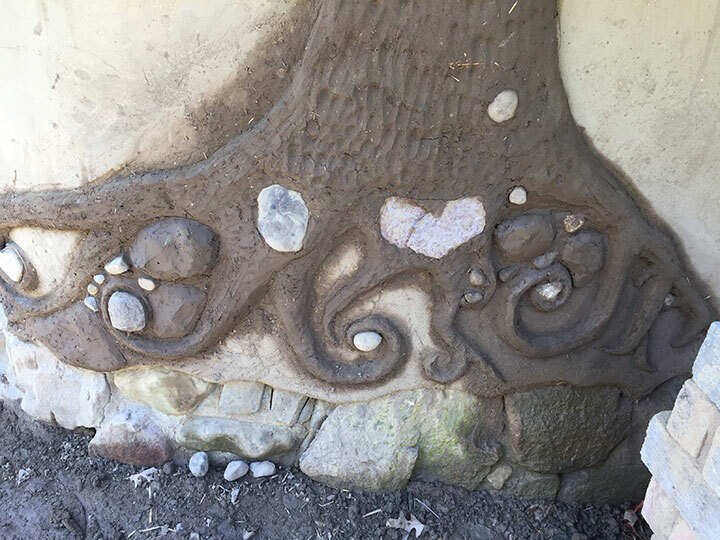 It is in this seeking of reconnection to nature that we can see how for two and a half centuries, modern druidry is a human spiritual response to the larger wheels of industrialization that have been thrust upon us in the Western world. The ecological crisis is a spiritual crisis as much as it is a crisis of culture. Druidry is us finding our way “home”; back into deep connection with the living earth. Many people today are drawn to the druid tradition there is “something” missing for them and it is that connection to nature. Like the ancients, the modern druid tradition still recognizes the three divisions in druidry, and each druid embodies aspects of each of the paths of the bard, ovate, and druid. So, now that we’ve talked about the history of this tradition, I’d like to share information on each of these paths. The first path of druidry is the Druid Path which focuses on dedication, magic, and mystery. In druidry, nature is our sacred text, and each druid’s relationship and interaction with nature is different–we live in different ecosystems and climates, we are engaged in different kinds of work with the land, we have different cycles and seasons. Because of this, the druid revival tradition recognizes and cultivates the development of a personal spiritual path, and in the druid tradition, these differences are encouraged rather than minimized. In this way, revival druidry has a very similar philosophy to the Unitarian Universalists – belief is an individual choice. Being a druid doesn’t mean you can’t also hold Christian, a Buddhist, a UU, Pagan, or Atheist perspectives. Some of us are simply druids, and many of us are on a pagan path, but we have plenty of others who combine druidry with other things, like Christianity or Hinduism. All are celebrated. Of course, in the druid tradition, we have common frameworks inspired by our spiritual ancestors. 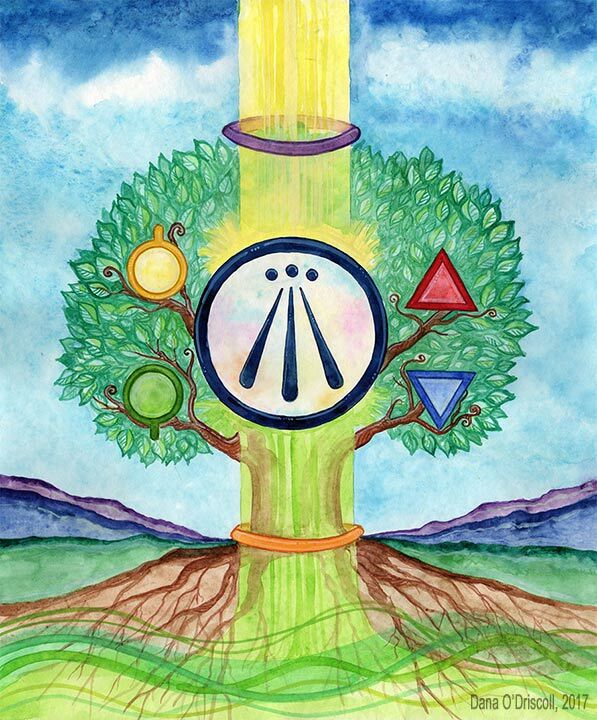 I belong to two druid orders: the Order of Bards, Ovates, and Druids (OBOD), which is based in the UK and is the largest druid organization in the world, and the Ancient Order of Druids in America (or AODA), in which I currently serve in a leadership capacity and is focused on North American druidry. 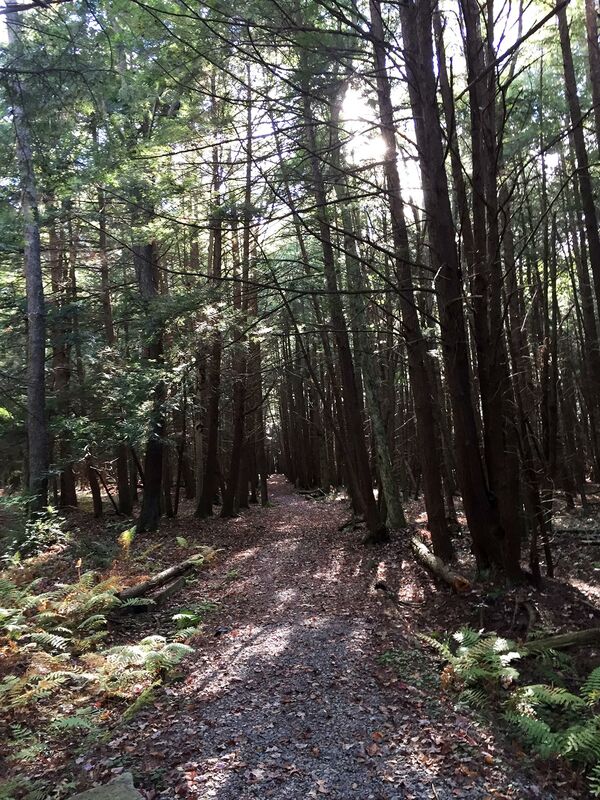 In AODA, for example, we have a common set of practices and a three part study program that people can engage in to spiritually connect with nature. 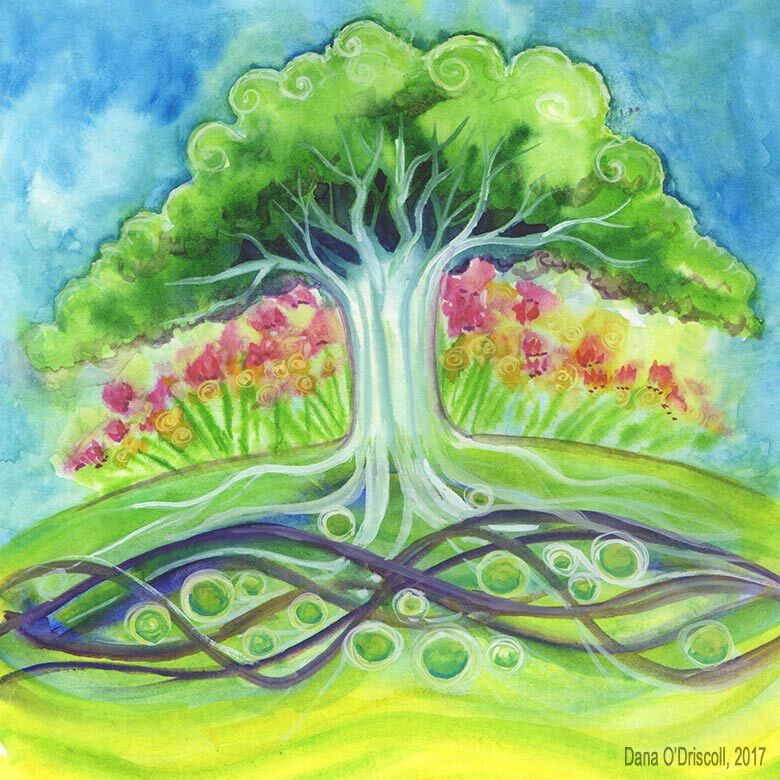 These practices include celebrating the solstices and equinoxes, working a daily energetic practice called sphere of protection, engaging in lifestyle changes that honor the earth, planting trees, observing nature, daily meditation; honoring our ancestors of land, tradition, and blood; and practicing of the druid, ovate, and bardic arts. However, the specific expressions of a particular member’s own inner truth are central to the way in which those practices manifest. In fact, different views of the druid tradition interpret the “druid” path in various ways: the druid path is a path of magic, a study of the esoteric arts, a path of advanced practices, and/or a path of leadership. In other words, if you ask five different druids about their beliefs and spiritual path, you’ll likely get seven different answers. But inherent in each of those answers would be an acknowledgement of the sacredness of nature, the power of nature to teach us the deepest lessons, and the importance of reconnection with nature, our creativity, and our spirit. The second path of Druidry is the Path of the Ovate, which focuses on the sacredness of nature. When people ask what druidry is about, the first thing I share is that it is a path of nature spirituality, that it embraces relationship to nature at its core, and that it honors nature through various activity (like seasonal celebrations of the solstices and equinoxes, nature awareness, and ecological study). And yet, an individual druid’s relationship towards nature is multifaceted: we see nature as sacred, it is our source of wisdom, our sacred text, and our church/sacred space. We recognize that in order to treat nature as sacred, we must align ourselves with nature and her cycles. For us, druidry is a path we strive to walk in each moment and each day, and we work to align our inner truths with our outer actions. 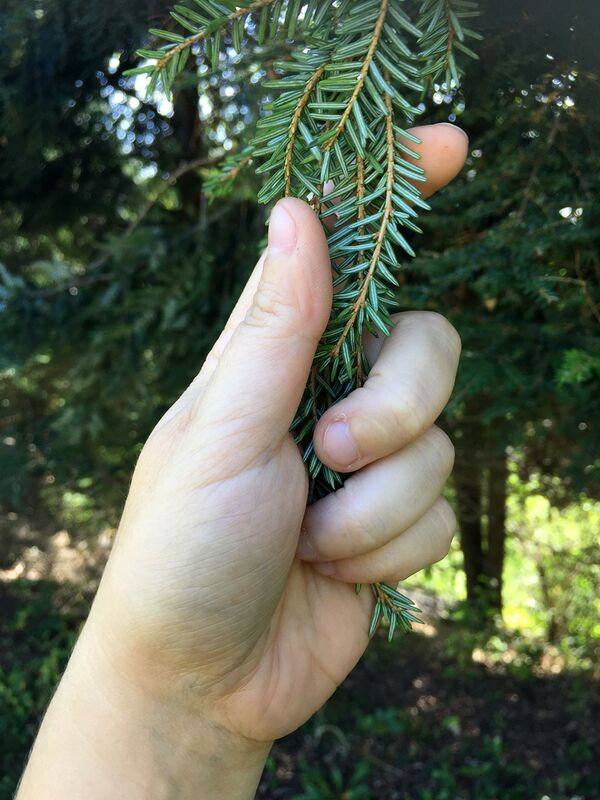 We focus on healing the relationship between ourselves and the living earth (and each of us does this in our own way; you might note the number of plant walks I do for charitable causes each year—this is part of my own work on the ovate path). 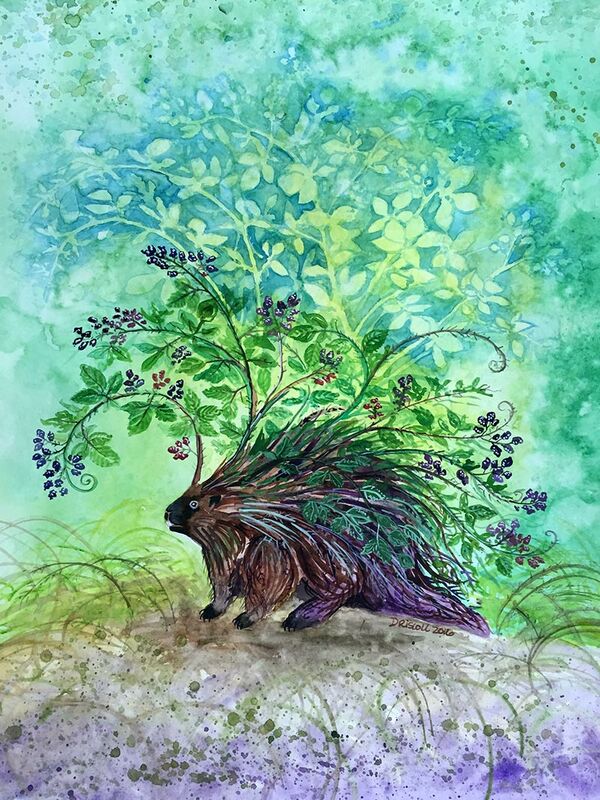 The more that we, as druids, understand the living earth, the more we are able to reconnect with her, but also, to protect and heal what we hold sacred. Worlds within and without! 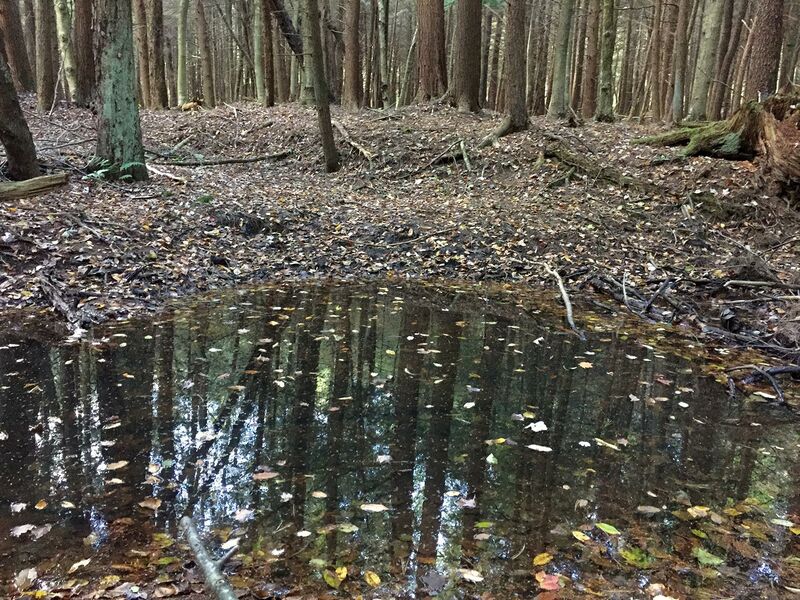 Moshashannon State Forst in PA.
Part of the ovate work is the energetic work we do with nature—for example, fracking wells are present throughout the world. Each year, at certain points, druids and other like-minded folks organize to send healing energy to the earth surrounding fracking. We recognize that even if we are physically unable to heal the land, we can energetically support it (much as the practice of Reiki supports a sick person). This practice aligns with a truth known in the druid tradition: as above, so below. As within, so without. Writing in the early 20th century, Max Weber, a strong supporter of capitalism and industrialization, wrote that the world had been disenchanted. Druids, however, know that this is not the case: despite the many imbalances caused by humans in our age and in recent ages past, nature has not lost her magic. 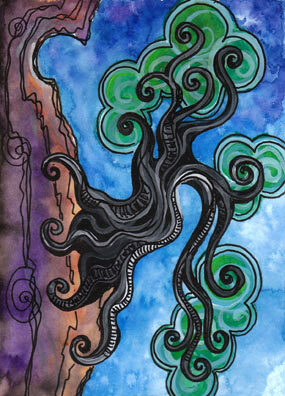 Druids see the land as not only a physical thing but a metaphysical thing. Most druids believe in animistic views of the land, recognizing the soul or spirit in all living things (and often, in places as well). We have experienced, firsthand, the sacredness of the living earth, and it is a powerful thing. The third path of druidry is the Path of the Bard, where Creativity is Sacred. As the story of Taliesin in the Mabinogion describes, an emphasis on rekindling of our creative gifts is another central aspect of the druid tradition. It is our belief that a core birthright of humanity is to be able to use our bodies, minds, hands, and hearts for creative expression. In fact, one of the core symbols of revival druidry, and a term we chant in our rituals, is “Awen” (Welsh term pronounced “ah-wen” or chanted “Ah-Oh-En”). It was “Awen” that flowed through the ancient bards as they crafted their stories and songs; it was this same awen that flowed through Gwion who became Taliesin. It is Awen that flows from an inspired pen, hand, and body as we learn to once again express ourselves and be whole. It is the “Awen” that has been systematically stripped from us as we allow other people’s commercialized creations to take the place of our own. 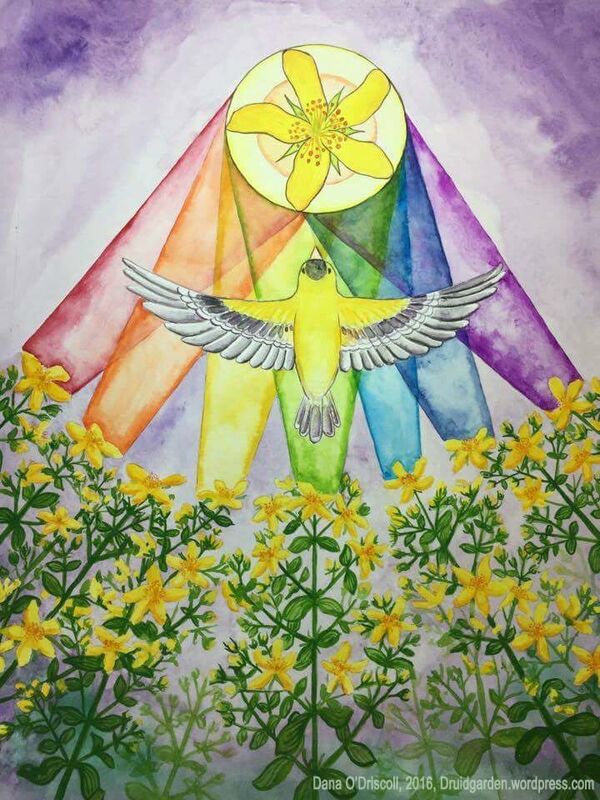 And it is the inspiration of Awen we seek as we reconnect with our own creative gifts and expressions and reclaim them. At our gatherings, you will often see an Eisteddfod, or bardic circle, where we share stories, songs, music, poetry, dance, and more while we sit around a roaring fire. Image it—a hundred druids or more gathered to appreciate and honor our creative gifts. In sum, the third path of druidry is in rekindling our own creative inspiration and recognize the inherent sacredness of our creative work. Let’s return to the forest of my childhood for just a moment. 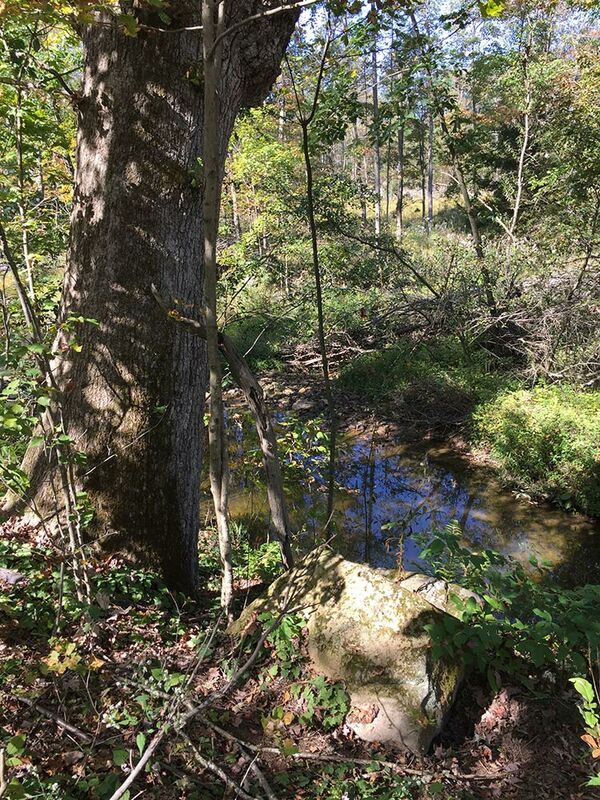 When I walk in that forest now, my studies in the ovate arts have helped me to understand the landscape: I can see the changes in the ecosystem based on different microclimates, I know the names and uses of many of the plants and trees. 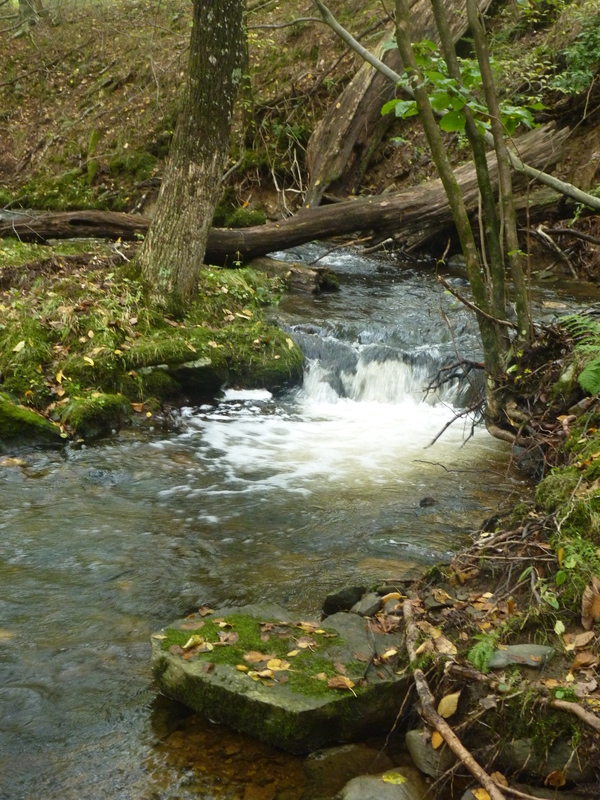 However, my years of mediation and energy work also allows me to sense the spirit of things; I can hear the laughter of the creek as it cascades down the blackened stones, and I can hear the message in the creak of the two old trees rubbing together. I come to the ancient Eastern Hemlock stumps that once were my friends and now are gracefully returning to soil, covered and moss and bright red shelf mushrooms. 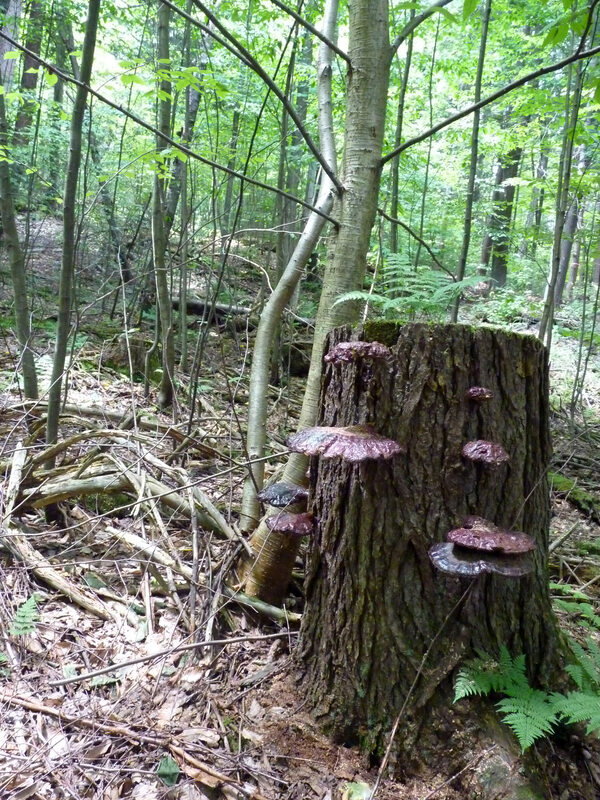 A closer look reveals that these stumps are growing Ganoderma Tsugae, the hemlock reishi, one of the most medicinal mushrooms in the world. Nature’s response to the logging of the forest by human hands was a simple one: to regrow, to heal, and offer humans her own sacred medicine. In a time very soon, the forest may be logged again. But even if that were to happen, nature will heal. And in the process of that healing, she will welcome us into her sacred places, into her circle of stones and trees, with open arms. PS: I have been selected as the OBOD’s 2018 Mount Haemus scholar and am currently working on a research project about the bardic arts (tied to the learning research I do professionally). I am conducing a short survey to start the project off–if you are willing, I would very much appreciate it if you took my survey! The link can be found here. Creativity is the singing of the soul. When we create, we draw from the deepest parts of who we are and express ourselves to the world. The act of creation, the drawing forth and connecting to our inner selves, is the joy involved in creativity. Having something nice in the end, to me, seems like a bonus! I believe this act of channeling the awen is not only inherently spiritual, it is also part of what it means to be human. But to allow our souls to really sing, we have to grow comfortable with what we create, we have to set aside our judgement, and and to grow our skills as bards. And with that background, let’s begin to answer the two questions above and move into a place of empowerment, creativity, and the flowing of awen! In the same way that the ancient bards were dedicated to their craft and in the same way that children devote countless hours to their own creative expressions, so, too, do we need to carefully cultivate our modern bardic arts if we are to grow our gifts. I’ll use myself as an example here of how we might cultivate the bardic arts. 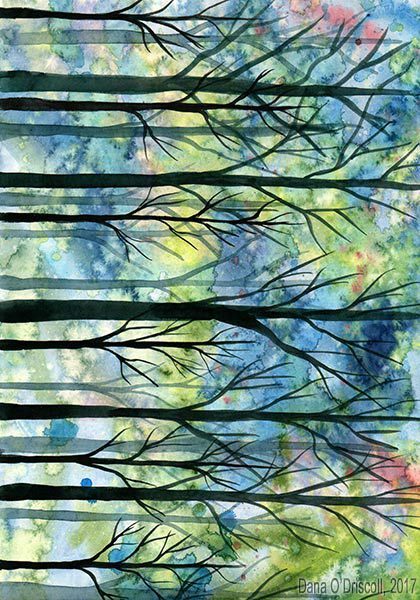 I have been a visual artist focusing on the theme of trees and whimsical nature art and have been seriously pursuing this work for over a decade. 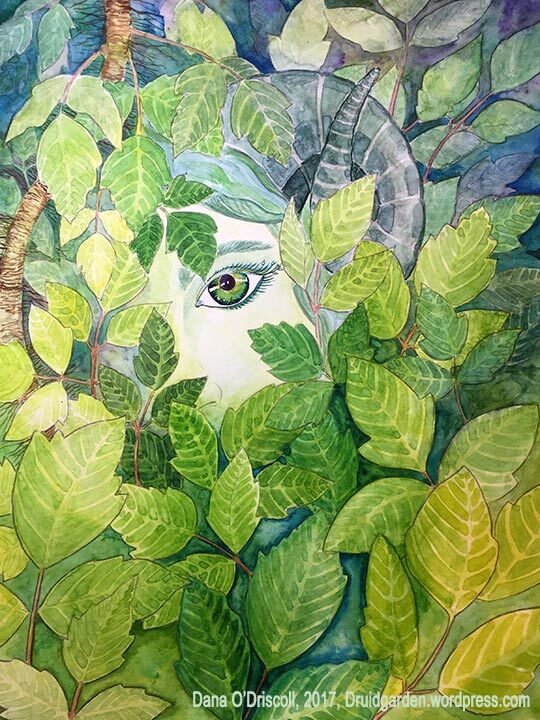 As part of my own development as an artist, I often go to the natural world for inspiration and observation: studying the patterns of leaves, sketching in the woods, taking photographs, and bringing that inspiration back into my art studio. I also regularly expose myself to the work of others who are using different artistic techniques (talking with them, viewing artwork, reading books on techniques). I go to museums and study, in detail, various watercolor paintings. I talk to watercolor artsits about their own style and process and inspiration. We share work with each other and ask about techniques. Regardless of how “good” I have become, I regularly take classes, read books, watch youtube tutorials, which helps me gain the theories and techniques of a visual artist. Often, as part of these classes, I get expert feedback on how to improve my work. Finally, I practice my art as often as possible, several times a week (often for several hours), in a space dedicated for this purpose. Practice doesn’t just mean do the same artwork over and over, but rather, I regularly take on new challenging subjects and new media so that I can continue to grow as an artist. This might mean that I don’t always succeed, but there is much value in the practice. Visual: Visual artists cultivate keen observation skills (of the subject matter) and also expose themselves to others’ artwork. Literary: Literary artists read copious amounts of others’ work; for poets this may include memorization of others’ poetry and forms. Performance: A performer would attend many performances and observe other performers practicing their art. Craft: A craftsperson would study as much of the craft of others as possible. For example, a leatherworker would study other people’s leather working techniques and finished products, and so on. Visual: Techniques using particular artistic tools, understanding perspective and distance, understanding light/shading, understanding color theory, understanding how paint blends on a page, etc. Performance: The technical aspects of dance (how to safely perform different moves), how to engage an audience, the technical aspects of acting, singing, vibrato, positioning, lighting a space, etc. Craft: Technical aspects of the craft, for example, in leatherworking it would be cutting leather, using leather tools, dying and staining leather, finishing, putting pieces together, designing patterns, knowing which kinds of leathers to use for which projects. Each craft has its own techniques. Some techniques may transfer from bardic art to bardic art, while others need to be learned anew. For example, drawing skill helps me not only as a painter, but also as a leatherworker when I’m designing and creating leather tooled pieces. But that drawing skill is not so helpful when I’m trying to tell stories around the fire! Pracitcing the technqiues for some bardic arts also require the tools: for example, as a watercolor artist, I need, at minimum, high quality brushes of various sizes, watercolor paper of a good quality, and a nice set of watercolor paints. Working with sub-par tools leads to a sub-par experience. Having better tools offers me a better “starting point” and eliminates certain kinds of struggles. A second critical aspect of practice is that different kinds of practices are necessary to achieve proficiency. Sometimes, practicing the same thing over and over gives you a lot of skill doing that particular thing, so that you achieve mastery. So, if you make 100 leather bags, your 100th one will be much better than your first. But at some point, there is a diminishing return to continuing to practice the same thing–you’ll get to a certain point and not be able to go any further. It is for this reason that we also need challenges and exposure to more difficult kinds of practice. A challenging piece/performance requires you to gain new skills, to push your skills a bit beyond what you can handle, and encourages new growth. With challenge is the possibility of failure, but failure is not something to fear. Failure is a regular and consistent part of the learning process, and all proficient people practicing any bardic art have had their share of failure. How we handle failure here is key–letting failure be an opportunit to learn, rather than an opportunity to shut down, is critical to our own development (for more info, see Carol Dweck’s TED talk and research on mindsets. Dweck’s work explores two mindsets for approaching failure–when we can learn and grow, we gain much. But when we shut down and fear/avoid failure, developmentally, little growth happens). A common saying is that the master has failed more times than the novice has even tried, and this is a very true of the bardic arts. 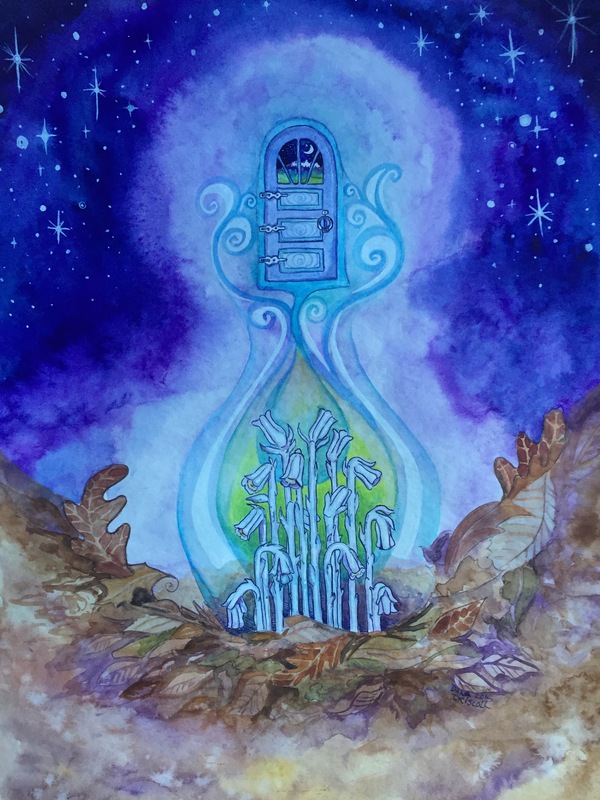 In this view, as we cultivate our bardic art, we must also cultivate the understanding and openness that is required for long-term growth and success. Embrace failures as part of learning and for the value that they offer. Of course it is frustrating to make a mistake, but mistakes are a sign of growth because you are pushing yourself beyond your comfort zone. My father and mother offered powerful lessons to me concerning mistakes and failure when I was a small child learning painting. I remember working on a piece very hard, only to have a huge paint drip go into the middle of the sky. I was ready to cry. My father stopped what he was doing, and came over to me, and showed me how to turn that paint drip into a colorful cloud. He told me that mistakes were an opportunity to try something unplanned, something different, and that some of his best work had been a result of such a mistake. When this happened again, my mother reinforced the lesson several weeks later. As I continue to learn new things, I am always appriciative of that lesson and what it taught me. And so, is through the triad of exposure, technique, and practice that we can develop proficiency, an eventual mastery, in the bardic arts. Notice that “talent” is not on this list. Anyone, given enough of the triad above, can develop at least a basic proficiency in a bardic art of their choice. Talent might help speed things along, but it is is not necessary. If the purpose of the bardic art is the process, the journey, the ability to connect with our hearts and spirits, then the end result seems but a secondary consideraiton. What may not be immediately obvious to the aspiring bard is that the triad above is embedded in a broader culture of bardic arts and also embedded in a specific community of practice. Bards need a community to share their work, talk to others about their work, to receive feedback, and to share their bardic gifts. 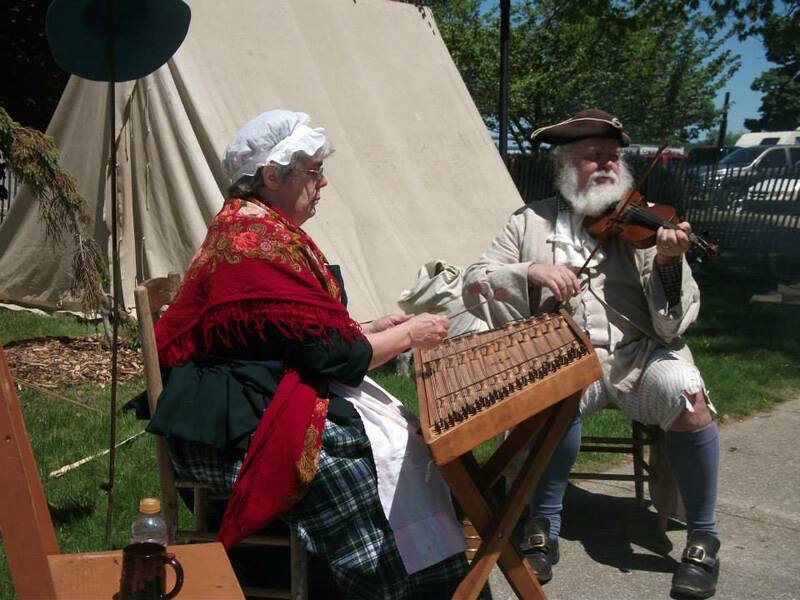 Each community of bards has their specific techniques and tools, practices that are unique to that community. Further, a bard is often incomplete without an audience of some kind, whether that is the reader of a text, the audience of a performance, the viewer of an artistic creation, or the user/receiver of a craft. In the same way that bards need communities in order to develop effectively, so, too do communities need bards. We cannot rebuild the bardic arts on an individual level without also rebuilding the communities in which these bardic arts are shared. Those engaged in the bardic arts need to feel needed; as though their work is important and it matters. Because it does. And so, we have to recognize that our communities are richer and better with our bards present and being bards. Imagine sitting around a fire at night with a dozen or so people—the more of those people engaging and sharing their bardic arts, the more interesting of an evening is shared by all. If nobody has a bardic art to share, the community suffers (and the evening is dull). This, too, is supported by learning research: we know that when people join communities of practice (see, for example, the work of Wegner and colleagues), those communities strongly support overall devleopment in a particular skill. And so, the questions that remain to us now are: How do we build communities without inhibitions against the bardic arts? How do we nature and support people in those communities? Children. As mentioned in last week’s post, children are natural bards, and the first thing we can do in terms of cultivating communities of bardic arts in the long term is to let children be children and to help them retain and cultivate their creative gifts. Children should be free to create, explore, make messes, make music, and collaborate with friends. As parents and loved ones, finding ways of supporting, reinforcing, and cultivating their creative gifts should be encouraged, especially to help provide a balance to mass education systems which discourage creative expression and creative thinking. As children grow up, they should be encouraged to continue to pursue whatever bardic arts inspire them. They should also be encouraged to view mistakes as an opportunity for growth (which, according to some of the resaerch I included above, is a very teachable thing). These children, then, can grow up to help lead bardic communities of the future. Adolescents and Adults. In terms of the adolescents and adults, some remediation likely needs to be in order, based on the cultural and educational disempowerment so prevalent today. The overall goal is to help adolescents and adults take down their barriers and inhibitions and reconnect to their creativity in the spirit of the freedom children have but tempered by the focus and ability of an older generation. Many trees make a forest; many people make a community! First, adults/adolsecents must have opportunities in their material and social contexts for practicing their bardic arts, in the same way that children have. For example, storytelling is a common thing that can be practiced daily. Children are constantly telling stories to each other and to their families. Adults could cultivate the same opportunity. For example, perhaps each member of the family around the dinner table tells the story of their day as part of that meal. This simple family ritual allows for the building of a storytelling culture within a family and gives each opportunity to learn to be a storyteller. The same can be true of many other bardic arts: creating social opportunities for bardic arts to be shared and practiced is an important part of cultivating them. Another option here is the Druid’s Eisteddfod, a circle of bardic arts around the fire. The third thing adults/adolsecents need are the tools to engage in the bardic art and access to expertise. Tools can be procured usually fairly directly (a materialist culture lends itself well to such a thing), but expertise might be much harder to come by. Given that, I encourage those interested in a particular art to seek out a local community, or, online community if no local one is present. These things can be learned on one’s own, but it is often more effective to learn from another. Chances are, anyone who has developed mastery in a bardic art has had plenty of mishaps and mistakes along the way, and its useful to talk about those mistakes as much as it is to talk about the successes! The fourth thing is to reframe our language within that community of practice. Aspiring bards need both support as well as constructive feedback, and the challenge in a community is finding methods of doing both in ways that nutrure the overall development. Some communities offer competitions or critique days that allow people to seek feedback to improve their work. These structured forms of critique and feedback are generally a safe space for those who want that kind of feedback. Which of the many bardic arts (visual, performance, literary, or craft) seem interesting to you? Select something that appeals to you, that is interesting to you and that inspires you. Find one that sings to your soul. Don’t worry about whether or not you can or can’t do this thing or if you know anyone else who does it—all bardic arts take dedication and work. Try it out for a bit making sure that you have given the practice enough time to get past the very beginning difficult beginner parts. I’d suggest spending a minimum of 20 hours on it over a period of time to see if it fits you well (this is the practice we use in the AODA curriculum and it works tremendously well). Twenty hours is enough to know if you will enjoy it, it is enough time to have some small successes, and it is enough time to get past the 10 or so frustrating hours (or more) of learning where not much is accomplished. If this bardic art turns out not to be a good fit for you, try something else until you find your right fit. In this process of exploration, you might borrow the necessary tools/equipment for practicing the art rather than buy them to minimize financial investment until you are sure you will pursue this particular bardic art. Where is there a community with whom you can connect? Seek out a community that is engaging in the same bardic art that you have interest in. Once you find that community, show up. I strongly advocate for finding a physical community of people who are engaged in your bardic art (or a range of bardic arts) that you can share with. This community should meet regularly (1/month, at minimum). If you can’t find a community, consider starting one (ask friends to come over once a week and play music or share stories by the fire, etc.). Online communities are a way to supplement local communities, but we encourage you to not stop at online communities. Online communities that have some physical component (e.g. art that is traded through the mail, performances that are given, in-person conferences that are present) are much more effective. The Ancient Druids understood that the flow of awen, the divine spark of creativity or inspiration, was a magical thing (and a topic I talked about in depth several weeks ago). And the Ancient Druids weren’t the only ones to recognize this sensation: many cultures recognize a muse or deity that is associated with creativity (the Greek Muses; Sarasvati, Hindu Goddess of the Arts; Hi’aika, Hawaiian Goddess of Dance/Chant; and so on). Whether you see the awen as a kind of abstract power or something that comes from a diety, the idea is that this creativity flows through a person when he or she is engaged in her bardic art. Perhaps you’ve experienced this yourself: it is a powerful sensation. This is where everything in this post comes in: we need tools, practice, and skill to allow the awen to flow through our lives and inspire us. And when we are in a place with our own skills and abilities as a bard, the awen can flow strong and we can create incredible works. We need the basic skills and approaches so that we can forget about the technical details and instead just let the awen flow. It is once we’ve achieved a certain level that we can really let loose, let our subconsious and muscle memory take over, and just flow with the awen. The things outlined in this post can help the awen flow into your life permancently and powerfully. May the awen flow within you in your pursuit of the bardic path!